Democracy cannot survive without a free press willing and able to act as a check on government power and behaviour. The relationship between the government and the media should therefore be adversarial – although it was thuggish of David Cameron’s government to dispatch the Cabinet Secretary to the Guardian’s offices to bully them into destroying their computers in the wake of the Edward Snowden scandal, rather this terrible, flagrant abuse of power than the chilling alternative of Sir Jeremy Heywood popping by every single afternoon for tea, chitchat and a list of government-sanctioned news stories for publication. But it is this latter, far more insidious type of close, symbiotic relationship that has been prevalent between parts of the British media and the politicians on whom they report and are supposed to keep in check. Former prime minister Tony Blair may no longer occupy Number 10 Downing Street, but the self-evident warmth of his newly revealed correspondence with Rebekah Brooks – former chief executive of News International, now on trial for her alleged role in the phone hacking scandal – shows just how overfamiliar those in power can get to those who lead the publications who supposedly scrutinise them. Rebekah Brooks: Definitely depends on the police interview first. I have Stephen Parkinson [a lawyer] here today. I have never met him but people say he is good. Rebekah Brooks: Great news. Feeling properly terrified. Police are behaving so badly. Tony Blair: Everyone panics in these situations and they will feel they have their reputation to recover. Assume you have quality QC advice? When’s the interview? Rebekah Brooks: Sunday probably or Monday. Cms committee. Tuesday. Stephen bringing someone called Emma Hodges and we have QC. Tony Blair: That’s good. I’m no use on police stuff but call me after that because I may be some help on Commons. There are two issues here. The first is the impropriety of a former UK prime minister essentially offering coaching to someone involved in a very current public scandal before they are due to give evidence at a parliamentary committee hearing. While there may be no legal prohibition on this type of interaction, it seems very morally dubious. Were the subject of the hearing about anything else it could perhaps be overlooked, but since it was a hearing of the Culture Select Committee specifically on the allegations of phone hacking and the issues raised about the behaviour of the press, Blair’s offer of counsel and friendly support seems to put him squarely on the side of the alleged perpetrators rather than the victims. The second issue is the self-evident friendship between the former news executive and the former politician. Friendships such as these are forged over time, some of which was doubtless while Tony Blair was still prime minister. 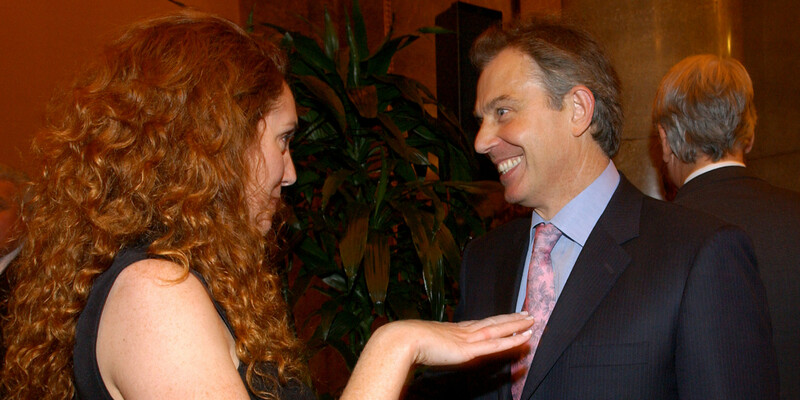 If Tony Blair’s regard for Rebekah Brooks is such that he was offering her emotional support via text message at the height of the phone hacking scandal, what other acts of friendship was he bestowing upon her while he still occupied Number 10 Downing Street? And how might the publications that Brooks ran have reflected this friendship? Some might argue that it is unfair to question the nature of this friendship. They are wrong – it is entirely appropriate. Serving as prime minister comes with certain responsibilities and standards of behaviour. It may not be part of the oath of office, but one of those responsibilities is surely to maintain professional relationships with business and the media. If both Tony Blair and Rebekah Brooks were doing their jobs properly during the period of his premiership, this would almost certainly have precluded any meaningful friendship from forming. If, however, they were behaving toward each other then as they apparently do so now, everything suddenly makes a lot more sense. While the release of Tony Blair and Rebekah Brooks’ text message correspondence doesn’t really tell us anything that we didn’t already know – that our elected leaders are sometimes far too close to the press barons who help to control the news agenda – seeing the evidence in black and white is still unsettling. Recalling Tony Blair as prime minister and then juxtaposing this new image of “T” sending kiss-laden text messages to the woman who then edited Britain’s most-read newspaper casts that era in a whole new, sordid light. The dirty, illicit feeling that reading these messages evokes would be more at home in the television series “House of Cards” than real-world Britain. We deserve better from our politicians, and from the news media. Who Really Wants A Free Press? The United Kingdom has fallen from 29th to 33rd in the world in the World Press Freedoms Index 2014. The report, compiled annually by Reporters Without Borders (RSF) is scrupulous in methodology and incorporates both qualitative and quantitative data. And for a country like Britain, which likes nothing more than to strut around the world proclaiming its comparative virtues, it makes for some dismal reading. In the United Kingdom, the government sent officials to The Guardian’s basement to supervise destruction of the newspaper’s computer hard disks containing information from whistleblower Edward Snowden about the practices of GCHQ, Britain’s signals intelligence agency. 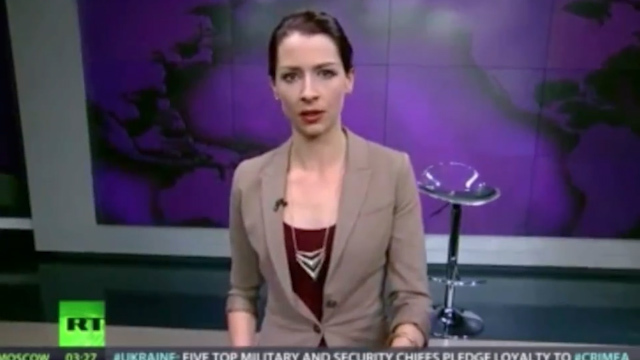 Shortly thereafter, the partner of Glenn Greenwald, the former Guardian star reporter who had worked closely with Snowden, was held at Heathrow Airport for nine hours under the Terrorism Act. By identifying journalism with terrorism with such disturbing ease, the UK authorities are following one of the most widespread practices of authoritarian regimes. Against this backdrop, civil society could only be alarmed by a Royal Charter for regulating the press. Adopted in response to the outcry about the News of the World tabloid’s scandalous phone hacking, its impact on freedom of information in the UK will be assessed in the next index. These developments showed that, while freedom of information has an excellent legal framework and is exercised in a relatively satisfactory manner overall in the European Union, it is put to a severe test in some member countries including those that most pride themselves on respecting civil liberties. How true this is. Britain has long been (and has long considered itself) a stalwart defender of free speech, but the recent thuggish attempt to use anti-terrorism laws to detain a relative of a journalist and to threaten a national newspaper with closure unless it destroyed information which had the potential to embarrass the government are more worthy of Vladimir Putin’s Russia than the land of Magna Carta. The New York Times, on the other hand, looks at the same report and seems to take succour from it, which is very surprising given the fact that their journalists have worked so closely with their beleaguered colleagues at The Guardian. While the New York Times is absolutely right to recall and celebrate this landmark victory – libel laws in many other countries, especially Britain, are far too plaintiff-friendly – they seem all too willing to ignore the negative actions that have chipped away at this victory in the intervening half century, the various acts of craven self-censorship or collusion with imperial government overreach or the undermining of factfinding by the ongoing war on whistleblowers. Still, American press freedoms rank among the broadest in the world. Citizens and media organizations in countries from China to India to Britain do not enjoy the same protections. 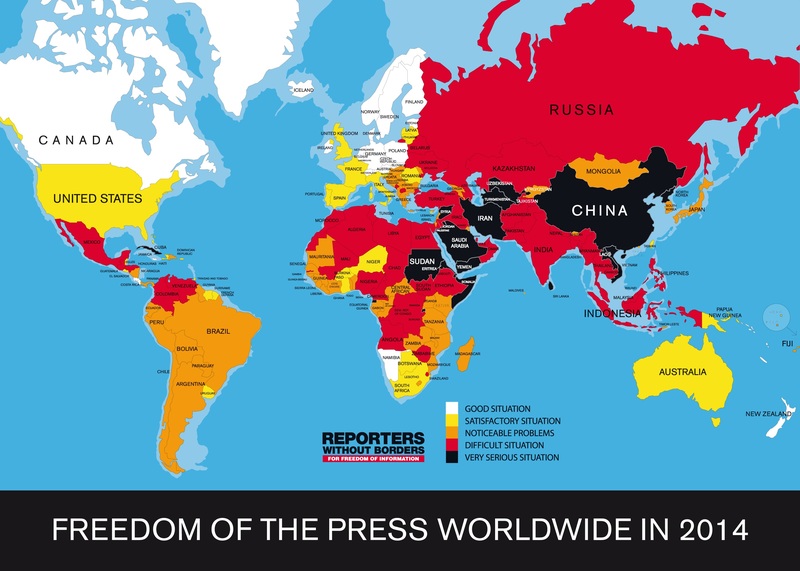 In many parts of the world, journalists are censored, harassed, imprisoned and worse, simply for doing their jobs and challenging or criticizing government officials. In this area of the law, at least, the United States remains a laudable example. The only problem with this statement? The United States ranks thirteen places behind the United Kingdom, at 46th in the world. Fortunately for the New York Times and the reputation of the American press, the RSF world press freedom index does not take quality of journalism into account, only the ability of the journalist to practice their trade freely – otherwise they could have found themselves docked another few positions for that howler of an America-must-be-best presumption. The truth is that neither Britain or America have anything to be proud of faced with this latest report. In an ideal world, David Cameron and Barack Obama would be held to account and hauled over the coals for presiding over such a poor performance. A backbench MP looking to bolster his or her civil liberties credentials could do worse than to ask the prime minister to defend or account for his government’s performance on press freedom at Prime Minister’s Questions this coming Wednesday. But regrettably, a place in the mid-low 30s ranking is exactly where David Cameron, Barack Obama and many of those in power in Britain and America want their respective countries to sit. It allows for a press that is boisterous and noisy in all of the areas that don’t really matter (and so showing every outward appearance of being free), but that meekly tows the line when it comes to critical issues such as national security, civil liberties and holding those in power to account for their actions. We in Britain or America may not think of countries such as Finland, Norway, Luxembourg or Liechtenstein as shining role models to emulate, if indeed we ever think about them at all. But in some key aspects, it is they who now carry the torch for freedom of speech and the free press, not the traditional Anglo-American partnership who held it aloft so dutifully for so long. US comedian Bill Maher is publicly ending his romance with the MSNBC news network. Whatever we had is not working any more. You’re obviously interested in another man: Chris Christie. You’re obsessed with him. So I wanted you to hear it from me first. I’m going to start seeing other news organizations. I’ll miss what we had. It was a rocket ship ride. We were both passionate flaming liberals and we didn’t care what the world thought of us. It was a glorious time. We finished each other’s Sarah Palin jokes. But now we never talk about any of the things we used to talk about: global warming, gun control, poverty… All because Chris Christie came along and put you under his spell. Look at yourself. You’re turning into Fox News. Bridgegate has become your Benghazi, and this isn’t easy to say, but you and I are no longer on the same news cycle. Sure, you read me the results of a recent Gallup poll, but you never really ask me how I’m feeling. It’s not you, it’s… Chris Christie. While the reality is not quite so black-and-white, it is certainly true that MSNBC’s programming has suffered lately as editorial focus (particularly in January) seized on New Jersey Governor Chris Christie’s political travails at the expense of almost everything else, abandoning any significant discussion of public policy in favour of personality-based and partisan attacks. Sure, Chris Christie may yet be proven to be at fault in the Bridgegate scandal, and the network’s intrepid main anchor and personality, Rachel Maddow, was covering the story long before it exploded into the national consciousness. But the degree to which the network then seized on the issue, to a far greater extent than other news networks, shows the Fox mentality starting to manifest itself in a very real way at MSNBC. They [Fox News and other populist right wing media outlets] have discovered that there is a fortune to be made keeping a small portion of America under the illusion that they are always under attack, from Mexicans or ACORN or Planned Parenthood or gays or takers or global warming hoaxers…it doesn’t matter. They don’t want a majority, they want a mailing list. A list of the kind of gullible Honey Boo-Boos out there who think that there’s a war on Christmas, and that the socialist policies of our Kenyan president have been so disastrous that the end of the world is coming. The fact that Maher now sees parallels in MSNBC’s programming should concern anyone who has an interest in promoting a free and principled media providing a service essential to democracy over an array of narrowly-targeted niche outlets, each making their money by reinforcing the existing fears and prejudices of their respective audiences. And the extent of MSNBC’s decline does not stop there. 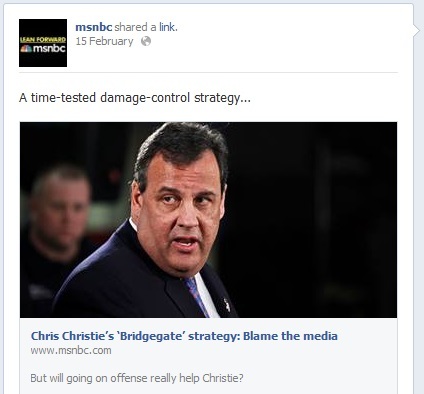 Any reader of MSNBC’s facebook account would struggle sometimes to distinguish it from President Obama’s. They trumpet the same initiatives, promote the same causes, celebrate (or invite their readers to celebrate) the same successes. Ultimately, the problem extends far beyond Fox News and MSNBC who are only the latest media organisation trying to emulate Fox’s success. The real problem occurs when any news outlet decides that its primary purpose for being is to help “balance the debate” in response to perceived slanting or bias from elsewhere. The Fox News Channel proclaims itself to be “Fair and Balanced”. But when probed further about specific instances of right-wing bias on-air, Fox’s journalists, editorial staff and managers do not rush to draw public attention to the Fox News editorial guidelines or their policy on political impartiality. Instead, they draw attention to what they see as the liberal bias of the “mainstream media” and describe their role as being to correct the bias by offering an alternative point of view. But as soon as you start seeing yourself as a counterweight to something else, you can no longer plausibly claim to inhabit the centre. This is what has now happened to MSNBC. That network watched for a long time as Fox News grew, prospered and humiliated them in the ratings by offering their viewers a diet of politically conservative-skewed infotainment, and now appears to have decided to copy and emulate large sections of their business plan, likely out of a twin desire to reap the same success and to give liberal voices an equally brash, punchy voice. Thus, their motto “Lean Forward”, is becoming increasingly descriptive of what they do, and not for the better. Progressive opinions and ideas can expect to be given more airtime and favourable editorial consideration on MSNBC, while dissenting conservative voices will be fewer and further between. It is true that many of the new generation of Republicans, hailing from conservative gerrymandered districts and used to sympathetic media, are virtually incapable of taking part in real fact and reason-based debate, and shy away from MSNBC anyway. But even more so than has already been the case, when conservatives do feature on MSNBC it will more likely be as the targets of scandal-related investigative journalism along the lines of Bridgegate. This is not a positive trend. Were it to continue, the only feature of MSNBC preferable to Fox News will be the honesty of their motto. “Lean Forward” at least strongly hints at the network’s political leanings, whereas “Fair and Balanced” is a running joke in the media world, so clearly does it contradict Fox News’ real motives. There is probably an initial rush of euphoria to be had, discovering and catering to a new, thus far neglected market of strident and angry liberals who are happy to be fed the Obama administration line. And it may be some time until the network misses the favour of Bill Maher and others who are happy to wear their liberalism on their sleeve, but do not wish to be condescended to by being fed a heavily curated and redacted leftward spin on the news. But, if they do not change course, the time will come when MSNBC regrets taking the low road. 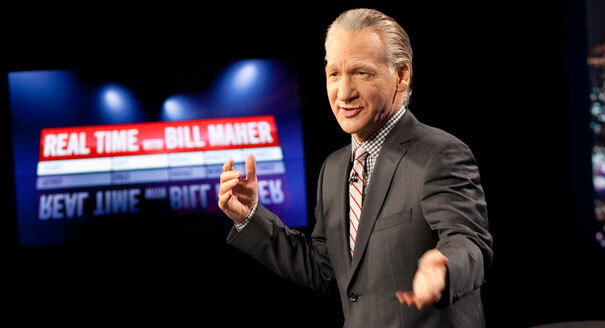 Bill Maher was not the first to compare MSNBC to Fox, and he won’t be the last. Perhaps when the two brands become equally synonymous with partisan propaganda, the executives in charge will realise what they have done. Highly worth reading and watching, reporting about Edward Snowden’s recent interview for German television, courtesy of Jonathan Turley’s blog. This interview has received little coverage in the UK or US media.